In the late 1990s, thousands of factories across the People’s Republic of China (PRC) closed down. Most had been created as part of the Chinese Communist Party’s (CCP) programme to industrialise the nation after 1949. Tens of millions of workers lost their jobs, and idle plants pockmarked thirty percent of the urban core of most cities. In Jingdezhen, the city that I have been studying since 2003, state and collective sector workers constituted ninety-four percent of the total employed population when these ‘structural reforms’ began, and the city contained approximately two hundred state and collective enterprises. The closures and mass layoffs profoundly shocked local residents, who experienced the ‘death’ of the city’s porcelain factories as happening ‘almost overnight’. When China’s Communist leadership decided to privatise the state and collective sector, the nation took a final step away from its socialist path to modernity. From the 1950s through to the early 1990s, the central government invested massive sums in industrial development—building new plants, inventing and purchasing new technologies, expanding the workforce, and manufacturing new products. In Jingdezhen, ceramics manufacturing grew from one thousand workers doing handicraft production in eight operating wood-burning kilns in 1948, into a massive porcelain industry employing over one hundred and fifty thousand workers in fifty-two mechanised sites, covering all aspects of the production process from mining to finished wares. While some outside observers and Chinese citizens recall this period primarily in terms of its political campaigns, the central government’s policies nevertheless shrank income disparities between the countryside and city, provided high levels of employment and extensive job and social security, increased women’s participation in the paid workforce, and raised educational levels. The decision to allow the market to drive industrial development was also a decision to relinquish most of the goals that characterised a socialist vision of the future. Twenty years after the PRC committed China’s industrial sector to the path of neoliberal capitalism, where does public memory of the nation’s socialist industrialisation reside? What aspects of the socialist path to modernity do officials or private citizens monumentalise, if any at all? To what extent does China’s contemporary heritage movement encompass its socialist industrial history? I offer here a first attempt to answer such questions, drawing on published sources and my fieldwork in Jingdezhen. Laid-off workers’ narratives are the richest repository of public memory about socialist industrialisation. Former state and collective workers have repeated their stories to journalists, documentary filmmakers, and scholars—not only at the time that the state and collective sector collapsed, but for more than a decade afterwards. In their accounts, laid-off workers testify to the meaningfulness of their membership in the socialist work unit (danwei) system in material and psychological terms. They reveal their sense of betrayal and injustice that ‘the promises of the socialist ideal simply vanished.’ Numerous testimonies show former state and collective employees’ insistent identification of themselves as ‘laid-off workers’ (xiagang gongren), even when they have found other work. By retaining this label, these citizens make a claim to the socialist path of modernity despite the government’s rejection of it. A more superficial form of socialist industrial history resides in the former state and collective enterprise buildings that have been preserved and adapted for new purposes. This type of architectural preservation can be said to have begun in the mid- to late 1990s, when artists in Beijing and Shanghai rented abandoned factories and warehouses to use as studios. In Beijing, some artists who had been evicted from the area around the old Summer Palace in 1995 moved to Dashanzi, a state enterprise built in the 1950s that was once Asia’s largest military electronics plant. Factory 798 became particularly well known as an artists’ community, so much so that international art galleries and fashionable boutiques turned the site into an ‘art theme park’ by the mid-2000s. In 2006, the State Administration of Cultural Heritage of China published its first official documents promoting the preservation and reuse of industrial heritage. After this, Beijing’s municipal authorities began offering funding for private developers. In Shanghai, private efforts to adapt socialist architecture received government support earlier than in Beijing, partly because the city had already begun preserving its semi-colonial industrial heritage in the early 1990s. One significant early development of a former socialist enterprise was the Chunming Roving Factory on Suzhou Creek. The Shanghai municipal government began redevelopment efforts here in 1992, spurred in part by water pollution. In 1997, Taiwanese architect Teng Kun Yen rented or purchased a Suzhou Creek warehouse built in the 1930s and made it into a design studio. His redevelopment sparked other artists and designers to undertake similar renovations, leading to the preservation and adaptive reuse of not only the Chunming Roving Factory but also the socialist factories on Taikang Road that became known as Tianzifang. Shanghai municipal government officials quickly recognised the potential of rehabilitated socialist architecture to enhance city branding and generate revenue. In 2004, they established a policy to promote ‘creative industry clusters’ which included tax concessions, special funding, and the ability to redevelop industrial land without applying for formal re-designation. As a result, dozens of socialist industrial sites were repurposed as creative industry clusters. Other cities were less inclined to abandon what Yung, Chan, and Xu call the ‘bulldozer approach’ to urban planning. In a 2016 study of twenty cities that received significant state investment for industrialisation during the 1950s and 1960s, Yang shows that most municipal governments have not seen industrial heritage as a marketable resource for redevelopment and have instead removed remnants of China’s socialist past. In Jingdezhen, the bulldozer approach to urban planning began in 2000, when the Bureau of Industry and Commerce bought the Jingxing Porcelain Factory, demolished it, and turned the area into a fruit and vegetable market. Other sites of socialist industry were torn down and replaced with retail storefronts and apartments. The former ‘large collective’ (dajiti) Sculpture Factory is Jingdezhen’s primary example of adaptive reuse from the socialist period. While portions of today’s Sculpture Factory bear no resemblance to the enterprise that was built in 1956, other parts have been preserved and adapted to serve the visiting artists and designers who participate in residencies at Carolyn Cheng’s Pottery Workshop. Cheng established her Jingdezhen branch of the Pottery Workshop in the Sculpture Factory in 2005. The facility now houses gallery space, an education centre, a café, and a shop, in addition to spaces where visiting artists can design and create ceramic works. Mine parks are a third type of site that holds memories of socialist industrialisation. In 2009, the China Mining Task Force announced the government’s decision to establish national mine parks at the Asia-Pacific Economic Cooperation Meeting. Seven years later, officials reported that China had created seventy-two national mine parks. Among them were the Jinhuagong Coal Mine Park in northern Shanxi, the Huangshi Coal Mine Park in Hubei, the Wanshan Mercury Mine Park in Guizhou, and the Haizhou Coal Mine in Liaoning. While some of the mines were put to use prior to the founding of the PRC, all received significant state resources and saw major resource extraction through to the end of the twentieth century. These ‘parks’ can include mine shafts, heavy machinery, historic photographs, socialist and contemporary art, and exhibits that describe the history of resource extraction and the ‘lifestyles of mining communities’. Researchers have just begun to investigate these new industrial heritage sites, with published masters theses from urban planning and architecture programmes. A glimpse of how China’s mine parks communicate the socialist vision of modernity is available from the reviews of visitors on Trip Advisor. Many describe the former mines as visually spectacular and educational. For some, the sites produce powerful experiences of identification with the former mine workers, a visceral sense of the forward pace of socialist modernisation (jianzhengle xiandai gongye fazhang qianjinde jiaobu), and an awareness of the economic decline suffered by cities dependent on extractible resources (ganjue zhege difang gen henduo ziyuankujie chengshi yiyang, you muoluo de ganjue). China’s socialist industrial heritage is underdeveloped relative to its imperial and colonial pasts. Potential economic gains from tourism and commerce have driven the efforts made to date, which are almost exclusively focused on the built environment. For example, only two percent of China’s cultural relics relate to industry. Since at least some of these eighty-three artefacts are from industry prior to 1949, the officially-recognised cultural relics of socialist industrialisation represent an even smaller percentage of the total. At present, China’s restored socialist structures and their creative class inhabitants preserve merely the façade of socialist modernity. Today’s trendy new users largely overshadow the history of these sites’ industrial development and their rapid decline. The PRC has not yet created a national inventory of its socialist industrial heritage. Nor have authorities announced plans to collect oral histories of socialist modernisation. If such trends continue, what remains of the path that China travelled toward socialist modernity will vanish, leaving only a thin veneer of industrial heritage without its rich and colourful history. 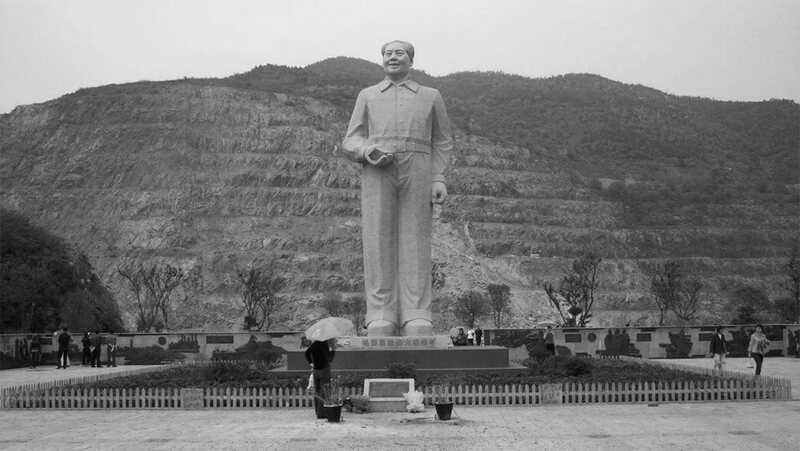 Photo: Huangshi National Mine Park Mao Statue, author unknown. 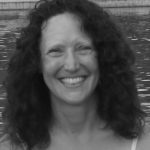 Maris Boyd Gillette is a sociocultural anthropologist and filmmaker who has studied porcelain workers and entrepreneurs in Jingdezhen, as well as urban Chinese Muslims in Xi’an. She works regularly with museums on exhibitions—most recently the Campbell House Museum, the St Louis Art Museum, and the Missouri History Museum.